Instructions for Guests Free parking is available in the West Lot. Enter the Lundquist Community Life Center (lobby of Benson Great Hall), go up one level, and head to Clauson Center. Panic! 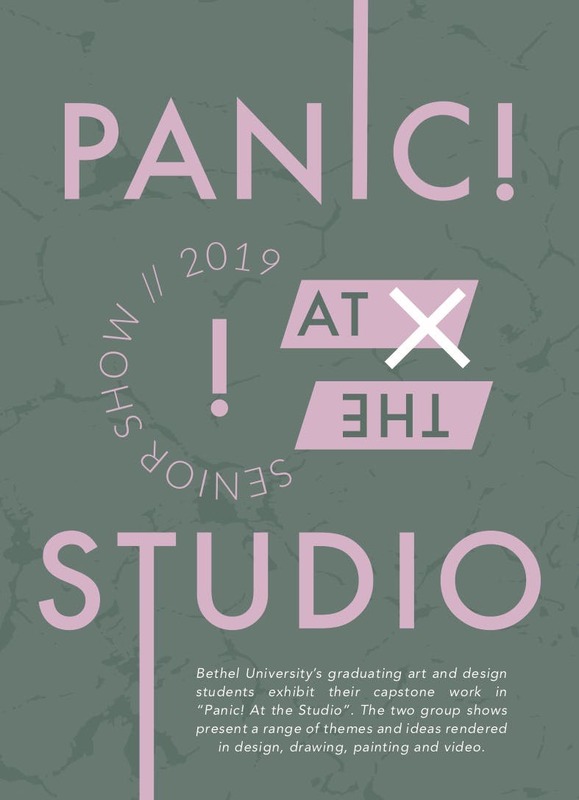 at the Studio will showcase the thesis work of senior art and design students. The two group shows present a range of themes and ideas rendered in design, drawing, painting and video. Artists will exhibit their work in the Johnson Gallery as well as the in the corner gallery across from Royal Grounds in the Bruschaber Commons. Contact Michelle Westmark Wingard at m-westmark@bethel.edu.